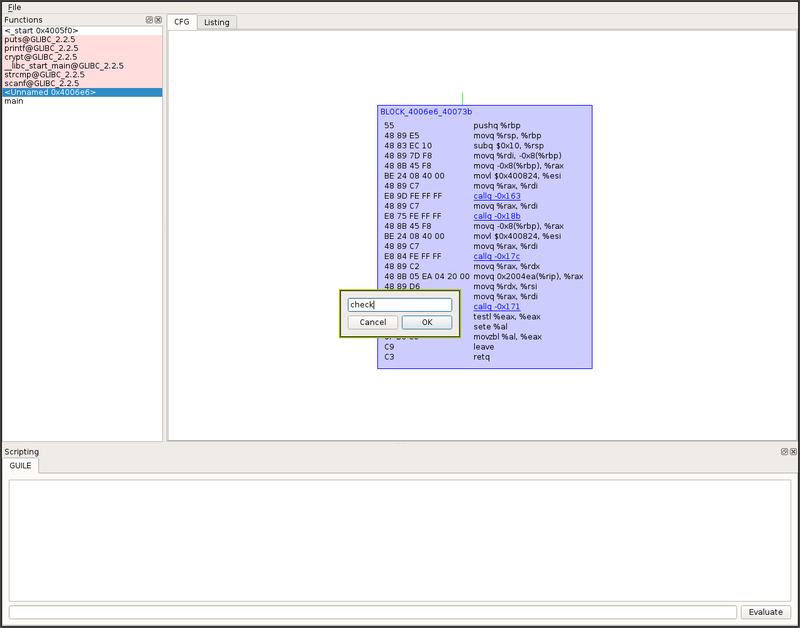 frida is an interactive disassembler based on LLVM and Qt. It is also Free Software! frida is cross-platform — it can run on basically any Unixoid System as well as Mac OS X and Windows and it can handle Binarys for every architecture LLVM supports (and there are a lot of them!). It currently supports ELF and PE binaries and has some support for MachO files. For now please mail me directly at christoph@frida.xyz. There is also #frida on hackint. frida is built on and around existing Free Software. The LLVM Toolchain already offers more opportunities than can reasonably be implemented soon. There is, for example, a integrated Debugger (LLDB) and a C frontend that can be used to parse headers for function declarations and structure definitions.